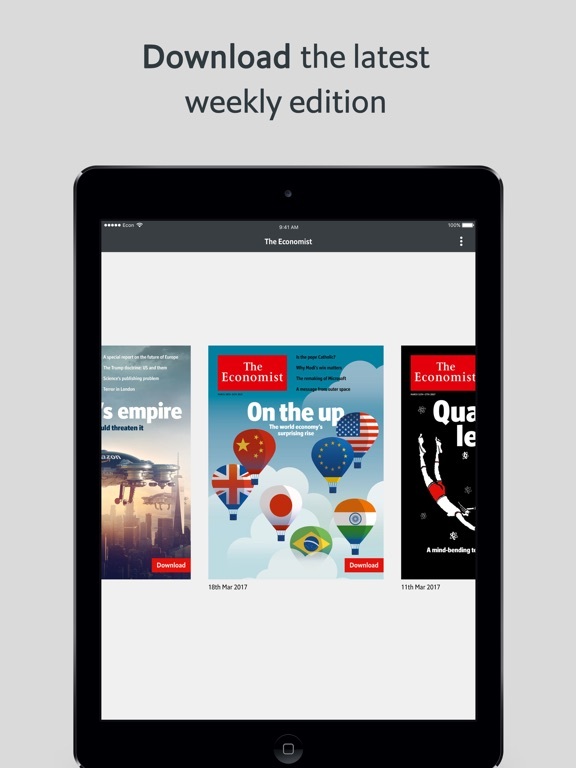 Users on iOS 10.3 or above can explore an expanded version of this app, incorporating daily and weekly updates, along with a morning briefing by searching for ‘The Economist’. Readers can access their essential global briefing on current affairs, business, finance, economics, science, technology and the arts from The Economist each week. • Get alerts when the new issue is available along with notifications on cover stories, breaking news and analysis. 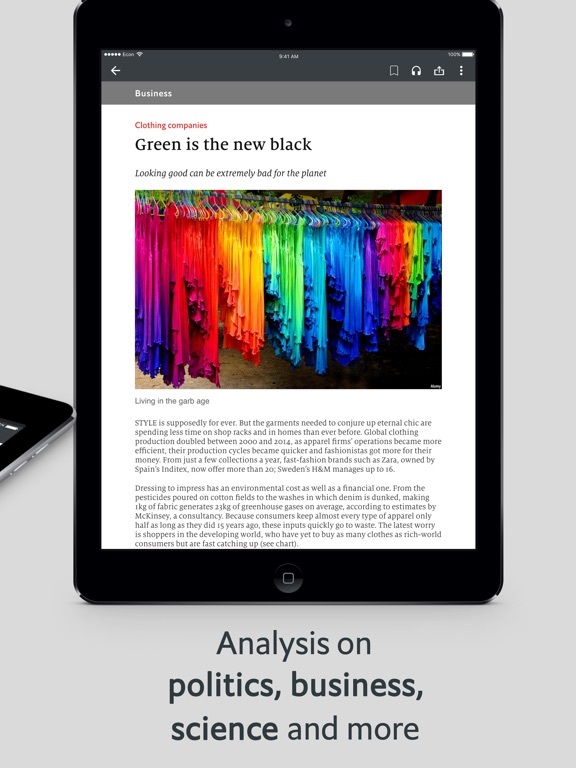 • The app presents a great digital native reading experience for readers allowing for font size changes, Night Mode and other convenient user friendly qualities. In today’s changing world, the one thing that’s certain is uncertainty. 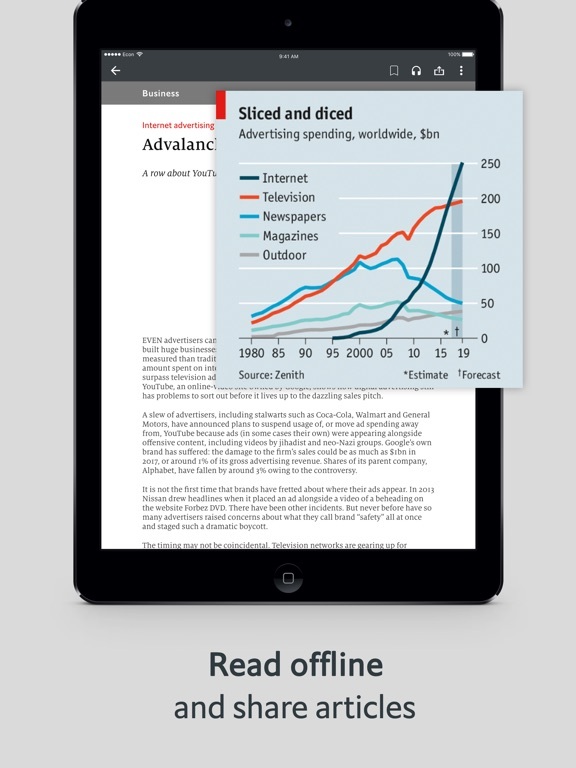 Make sense of it all with The Economist. • Purchase a quarterly subscription to the full edition of The Economist for USD $45.99 or an annual subscription for USD $189.99. • Subscribe annually, quarterly or buy a single issue. You will be charged in your local currency at the prevailing exchange rate as defined by iTunes. • Payment is charged to your iTunes account upon confirmation of purchase. 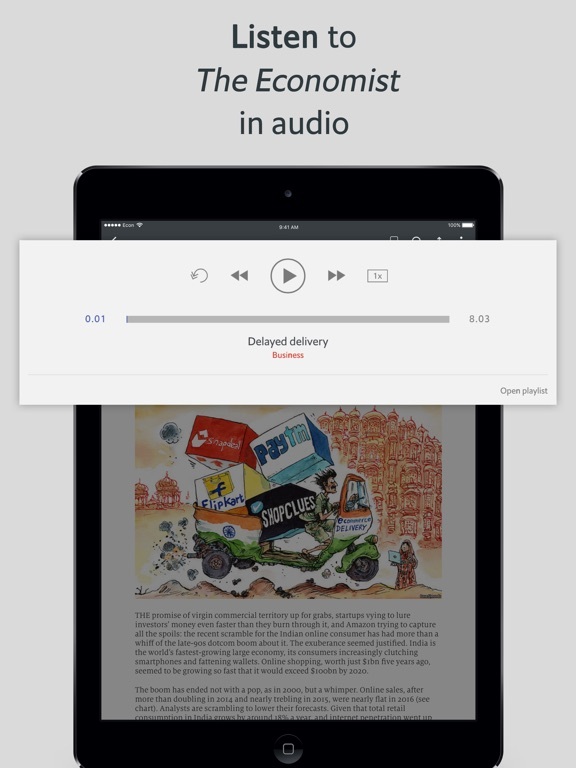 • Annual and quarterly subscriptions automatically renew. You can manage auto-renew of your subscription from your iTunes account settings at any time, but must be turned off at least 24 hours before the end of the current period to avoid being charged again. 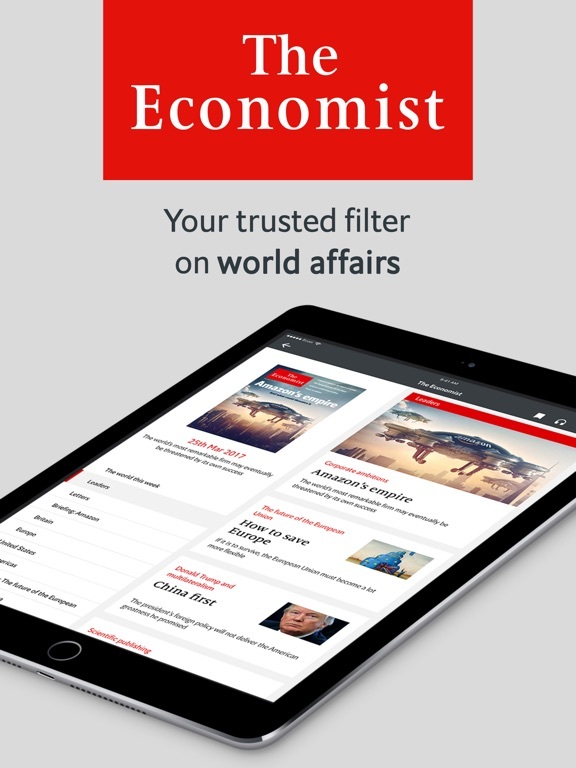 Simply search for The Economist in the App Store to download the app for free. Please note that this app requires iOS 8.0 and above. We recommend you update to the latest version of iOS to receive the best possible experience. Разработчик: The Economist Newspaper Group Inc.